Bicycle brakes are important for safety, traffic and speed control. We’re going to help you learn how to use them most effectively. You can also learn how to have more fun when your riding aligns with your brakes! Most of your braking power is in your front brake, about 70-80 percent. This is because as you brake, the weight transfers to the front wheel and lessens on the back wheel. For the most efficient braking, you should always apply both brakes at the same time. Where there isn’t a chance of skidding, you can apply the front brake more strongly to stop very quickly. Where there is a chance of skidding, it can be better to apply more back brake to avoid the front wheel slipping out. A back-wheel slide is much easier to control than a front wheel slipping out! Also, if you only apply your front brake it can end up with you flying over the handlebars (an “endo”). While some people do that for fun, it’s generally not recommended! Braking from high speed can be a complex skill and nothing beats practice. However, as with cars, defensive driving/riding is the most important skill; be aware of potential risks and slow down in anticipation. Winter riding is a whole other ballgame; we ride with studded tires here at Pedego which enables braking more safely in icy conditions. However, with skill, it is possible to ride non-studded tires in winter safely. Fat tire bikes with low-pressure tires are used a lot in winter to give better grip. Braking is definitely more of an “art” in winter and skills like feathering the brakes in a slide come into play. 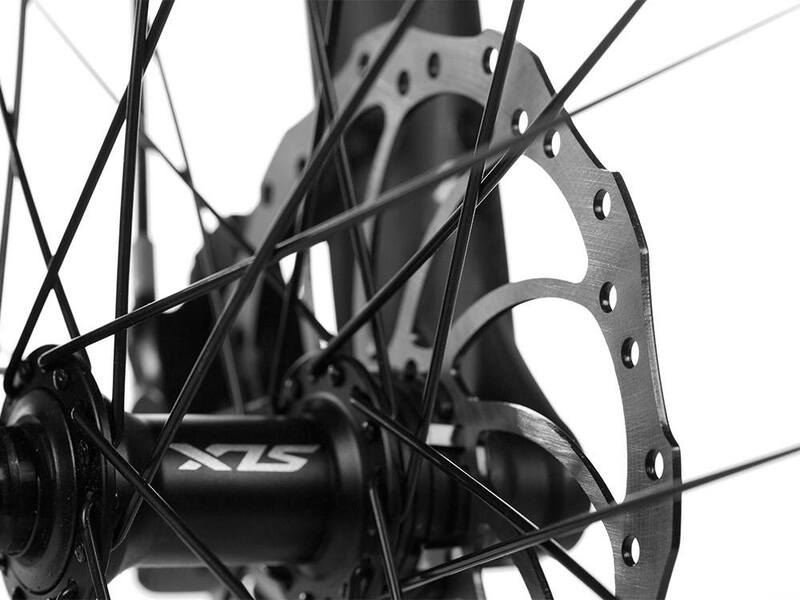 There are two types of disc brakes depending on your type of Pedego: mechanical or hydraulic. The key difference between mechanical and hydraulic disc brakes is how the force applied at the brake lever is transferred to the brake unit. Mechanical brakes have a cable running from your brake lever to the brake, so when you press on the brake lever the cable mechanically forces the brake pads to clamp on the rotor. Hydraulic brakes have a tube filled with oil running from the brake lever to the brake, so the fluid pressure increases as you touch the lever and that pushes the brake pads together. 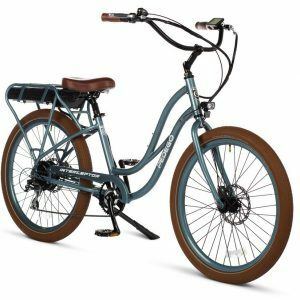 Pedego bikes with hydraulic brakes include the Platinum Interceptor, City Commuter Black Edition, Ridge Rider, Elevate and Conveyor. People tend to find hydraulic brakes more sensitive than mechanical disc brakes i.e. they typically require less force to achieve same amount of braking. Ask your local dealer which bikes your Pedego has, or ride different models and brake repetitively to feel the difference. 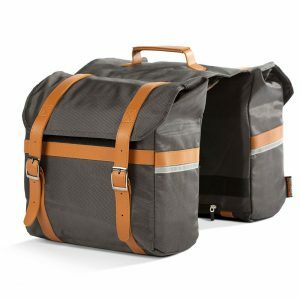 More and more Canadians are turning to electric bikes as a great way to commute to work and school. That’s because it doesn’t require any expensive and polluting gasoline, it’s easy to find parking and, above all, it’s fun! A lot more fun than sitting in a traffic jam, at any rate. 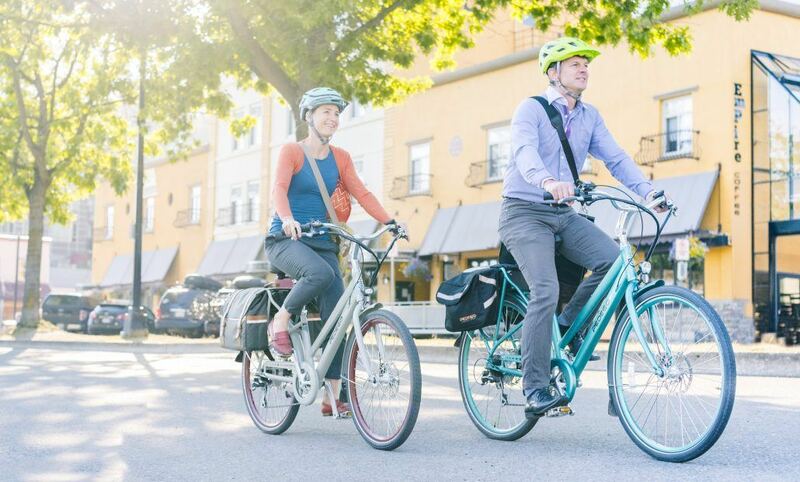 Before joining the ebike commuting revolution, there are some things that every electric bike rider should know about. For example, because electric bikes are relatively new on the commuting landscape, it’s important to realize that some drivers won’t appreciate how fast you can go. They simply see you as riding a bicycle and make assumptions based on the speed of a typical bicycle rider. However, as we all know, electric bikes can go much faster than regular bikes, especially up hills. So be a defensive rider and anticipate those drivers who may see you but who may pull out in front of you anyway because they’re expecting you to be going a lot slower. ◊ The Motor Vehicle Act applies to all road users, including electric bicyclists. ◊ Most provinces in Canada have laws requiring electric bicyclists to wear helmets and use a front white light and a rear red light when riding after dark. ◊ It’s a good idea to have a bell or horn to notify pedestrians, cars and other cyclists of your approach. In fact, in some provinces it’s the law. ◊ Bike reflectors and bright clothing help drivers see electric cyclists at night. ◊ Pedestrians always have the right-of-way. Stop when people are at crosswalks and let them go first. ◊ Legally, your electric bike is allowed to take up the whole lane if that is the safest thing to do. ◊ It goes without saying that you should be vigilant when biking beside cars. Use bicycle lanes where possible and, when in traffic, stay a safe distance from vehicles. ◊ Watch the road for holes or car doors opening ahead of you in your path. ◊ You must stop at red lights and stop signs and always ride in the same direction as cars. ◊ Ride in a straight line, that way drivers will better anticipate your trajectory. ◊ Do not swerve in and out between cars. ◊ Look over your shoulder before you change lanes. ◊ When going straight through an intersection try to make eye contact with drivers. ◊ Be wary of slick spots on the roads and don’t ride through puddles on roads you’re unfamiliar with. ◊ Always signal before you want to change lanes by using hand signals or pointing. ◊ Go slow when you turn, especially if the road is wet. ◊ Do not enter the right-turn lane if you are going straight. ◊ You are not allowed to ride your bicycle on the sidewalk or in crosswalks. ◊ Manhole covers, railroad tracks, and any form of metal are going to be slippery in the rain as well as painted lines. Similarly, bridges can be slick in cold, wet weather. ◊ Dress for the weather in layers of light clothing that can be added or removed as needed. After extensive testing and fine-tuning, the highly anticipated Smart Bike Technology has just been released by Pedego. Riders can utilize turn by turn navigation and the app has a audio setting that will announce your next turn before you reach it. You can share your achievements on social media directly via the app. The app will show how much battery power you have left and the number of kilometres you have left to ride on the remaining charge. Through the app you can link to other Pedego owners including those locally making it easier to organize group rides. 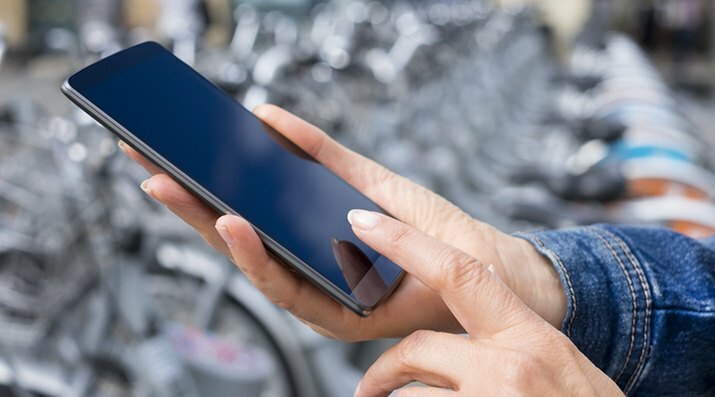 The app will send you helpful maintenance reminders to ensure your electric bike runs as smoothly as possible. The app allows you to directly contact tech support should any issues arise. Through ESB.PLUS equipped systems, users have the ability to activate anti-theft properties as well as crash detection in the event of an emergency. The app then ran a diagnostic check of the battery and told us its voltage, health percentage and the number of complete charges its undergone. 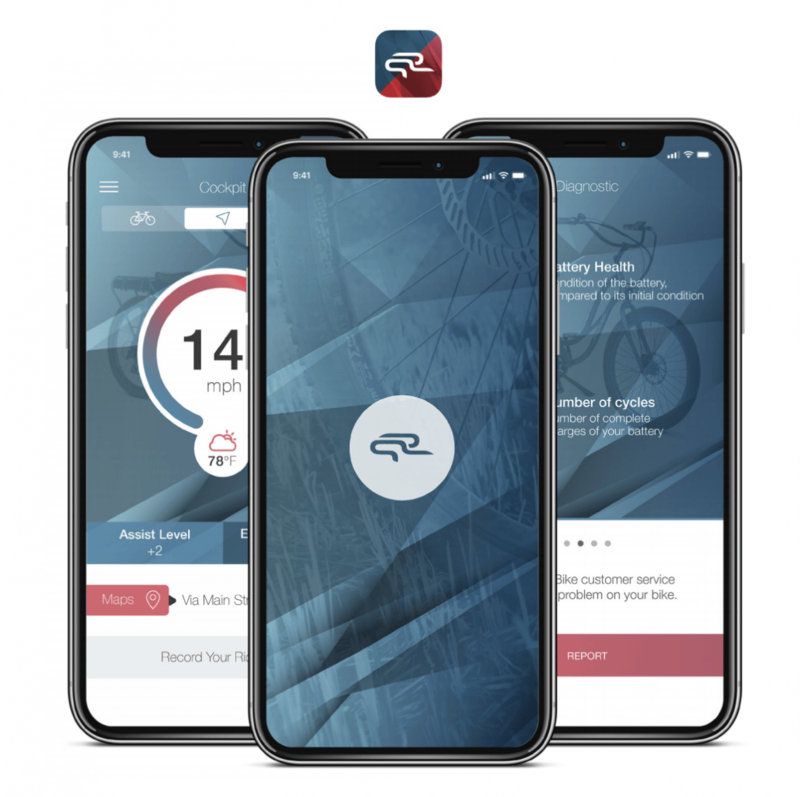 Also, by clicking the wrench at the bottom of the homepage you can see all this info as well as click the “Report” button to instantly contact e-bike customer service to report any problems. This is what the ESB mobile app looks like. The app also allows you to input your own profile settings, link to your social media accounts and follow your contacts (and have them follow you). This last option is what sets the ESB navigation system apart from all others. It’s so great to have a navigator give you the choice to take a scenic, quiet route! And as we all know staring at your phone while biking is not only dangerous, it’s illegal in some provinces, so the app has an audio option that announces directions. Obviously this doesn’t work well if the phone’s buried in your pocket and you miss the “Turn Right In 200 Metres” announcement so we recommend you get a phone holder that rests on your handlebars, such as the Cruzen Tunes (which retails for around $50) seen here. In conclusion, we found the ESB app incredible easy to set up, it linked to our bike seamlessly, and we were very happy with the offerings, most especially the navigation program. The only downside is you’ll need a phone mount holder to take full advantage of the audio navigation services.